I wanted to share with you all these new season autumn/winter collections that are on my wishlist, starting with the gorgeous red Saint Laurent Monogram bag (above). 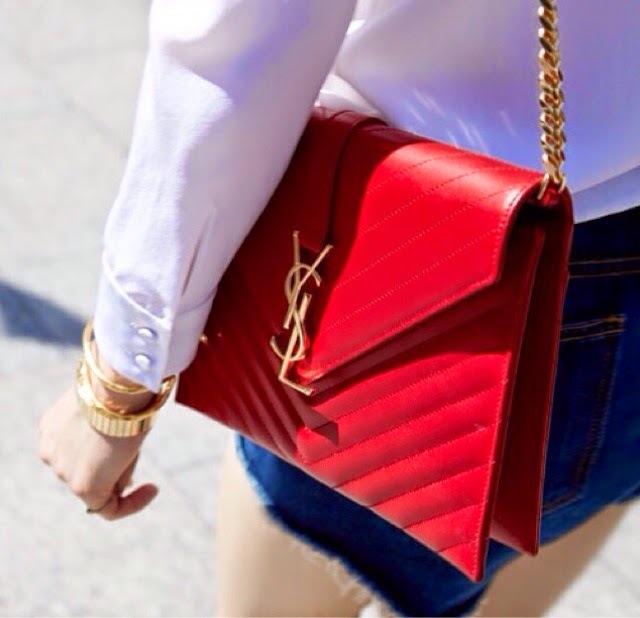 I adore red bags and this one in lovely quilted leather with the iconic YSL logo and gold chain strap is fabulous. This 'Drew' Chloe bag (above) is to die for. I love the gold hardware and in particular the signature bar and chain. This colour is described by the designer as 'Barbour Khaki' and is a classic colour that is timeless and chic. I really want one of these! 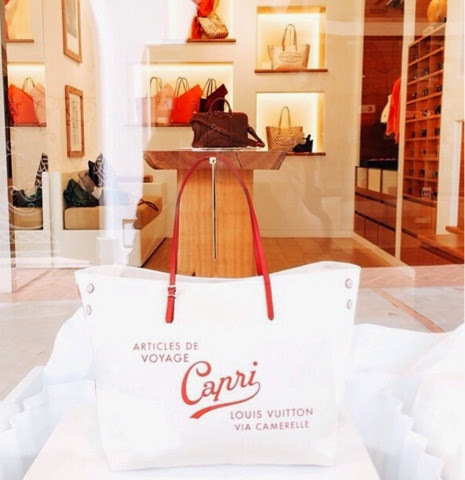 I am queen of oversized tote bags and this beautiful limited edition 'Cabas Capri' bag from Louis Vuitton is right up my street! Imagine strolling through the South of France in capri pants, Breton stripes, large sunnies and this beauty on your arm....Fabulous dahling! 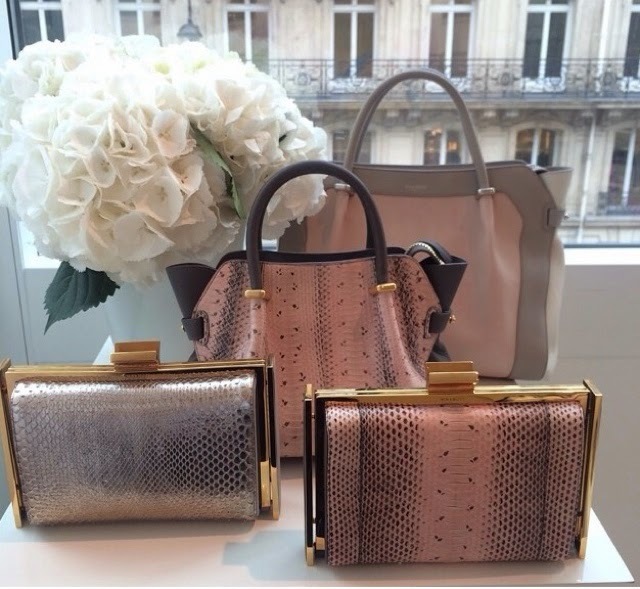 I love this collection of blush pink pastel bags from Nina Ricci. I am really into pastels this year, they are so ladylike and feminine and matched with muted greys is a beautifully chic look. I also love a snakeskin/alligator effect clutch bag and these ones (above) are modern and sophisticated. 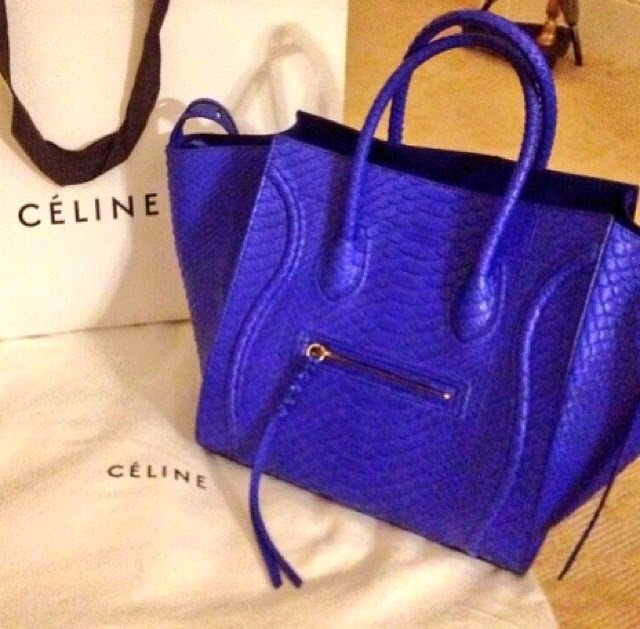 The Celine Phantom bag was everywhere this year and has been many a fashion editors favourite. The highly sought after bag is stunning in navy blue python (above) and is definitely a head turner. Olivia Palermo...what can I say...welcome to my new style crush (above and below). I love how she puts her outfits together, her style, how she always looks impeccably groomed and in my eyes, she just hasn't put a foot wrong yet. What I really like aswell about Olivia, is that it seems like she is the kind of woman who just has great style! - no stylist putting her outfits together - Olivia just has it. Let me know what your fashion wishlists are for the new season.